Home News News And Media Because of her, we can! 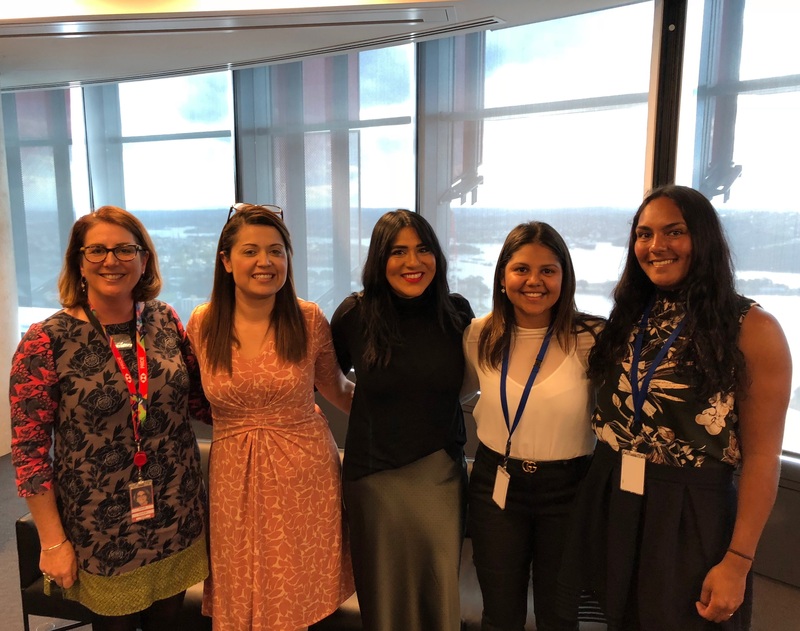 At the HSBC NAIDOC Week event held on 6 July, AIEF Scholarship Graduate Shannon Hanning spoke about the strong Indigenous women who have influenced and shaped her educational journey. Shannon is pictured second from right. Firstly, before I speak, I would like to respectfully acknowledge the traditional custodians of the land, the Gadigal people of the Eora nation, and pay my respects to elders both past, present and future. Good afternoon everyone, my name is Shannon Hanning and I am a proud Anmatjerre and Arrernte woman from Central Australia. I was born and raised in Darwin, Northern Territory and attended a local private school from Years 6 to 9. I was told by my teachers that I would never succeed in life or get accepted into a prestigious interstate boarding school. Little did they know, my dreams and aspirations were far larger than that! 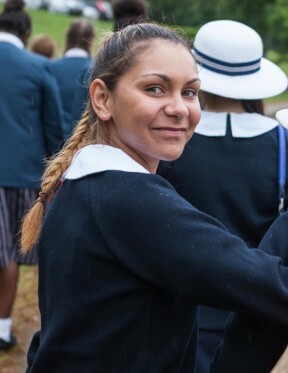 Five years down the track, I graduated from Pymble Ladies’ College on an Australian Indigenous Education Foundation Scholarship and am now studying a Bachelor of Arts at The University of Melbourne, hoping to transfer into Commerce early next year in order to start my own international business. In honour of this year’s NAIDOC theme ‘Because of her, we can’ I’d like to acknowledge the strong Aboriginal women who have influenced and shaped the person I am today. Firstly, my mother Anne Hanning Kngwarreye, who is a researcher and fashion designer, has always pushed and supported my educational journey. My high school in Darwin is where my journey started. 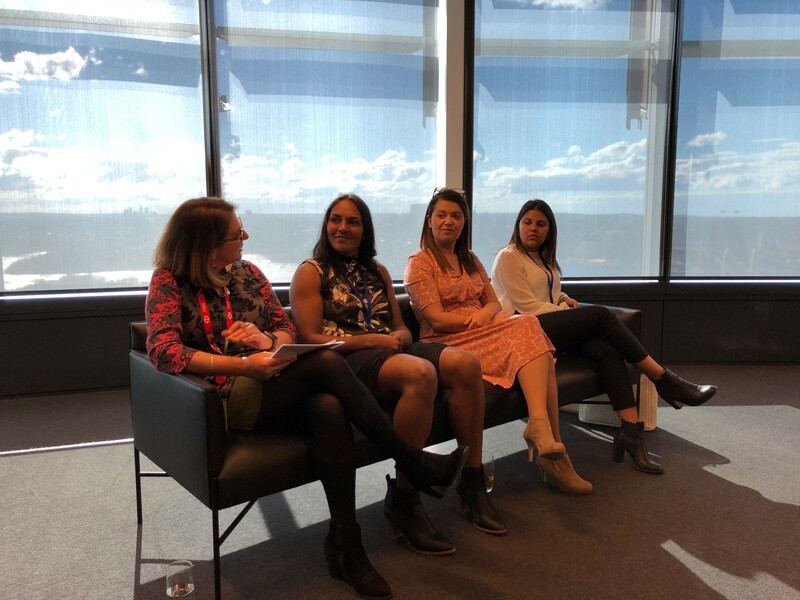 The student cohort was predominately remote Indigenous boarders funded by the Northern Territory Government, and the boarders had separate classes and activities from us mainstream day students. During these four years, I felt that my learning wasn’t challenged, nor was I expected to meet average or above standards. At the age of 13, my life was turned upside down by the death of a friend I had known since primary school. She took her own life. The disbelief and shock of suicide made me feel numb. Then, only a few months later, another friend of mine committed suicide. Right at this moment, my family knew that I had to leave Darwin from the ripple effect throughout the community. I applied for an AIEF Scholarship to attend Pymble Ladies’ College. I asked my teachers for letters of support and my English teacher was excited for me, but other teachers weren’t. Apparently, I was just wasting my time. Just a few months after, I received my offer and made the move to the big smoke. My experience at Pymble was positive; I was welcomed. Boarding school provided me with new experiences, challenges and opportunities. I met so many amazing people and established life-long friendships – people I call family now. It allowed me to develop greater confidence and leadership qualities. I also got to attend AIEF events and luncheons to network with other Indigenous students around Australia. However, with the good comes the bad. I struggled with being homesick, with the workload and new ways of learning, with the loss of family and friends, and I missed eating those salty plums and mud crabs from back home. If it wasn’t for the ongoing support from my Indigenous Coordinator at the time, Mrs Jennifer O’Donnell, who is here with me today, and the Deputy Head of College, Mrs Shaw, I would not be standing here today. Another strong woman in my life was my late great grandmother Emily Kame Kngwarreye who was born around 1910 in Utopia, Anmatjerre country. Today she is known as one of the most prominent and successful artists in the history of contemporary Indigenous Australian art. Her masterpiece ‘Earth’s Creation’ painting sold for $1.5 million in 2007 and then broke its own record last November selling for $2.1 million. And this year in March, Qantas added their newest Dreamliner named ‘Emily Kame Kngwarreye’ which is adorned with her ‘Yam Dreaming’ painting. This is part of Qantas’s ongoing commitment to reconciliation. CEO Alan Joyce hosted a special event for our family in Alice Springs to welcome the Dreamliner when it arrived in Alice Springs from Seattle. It was a very spiritual and emotional event for our mob, as Emily would never had dreamed that her art and our culture would fly across the world to be shared with millions. Next, my Aunty Pat Anderson, who is a strong advocate for the rights and welfare of our people. She won the 2016 prestigious Human Rights Medal and more recently was named as co-chair of the Referendum Council for the Uluru Statement from the Heart. Finally, my Aunty Professor MaryAnn Bin-Sallik, who is a Djaru woman from the Kimberley region of Western Australia and is one of the great advocates of Aboriginal education. She was the first Indigenous Australian to gain a Doctorate from Harvard University. I am the third person in my family to go onto higher education and I respectfully acknowledge these women who have paved the way for me, my generation, and the generations to come. I believe that positive role models make all the difference in the lives of all young people and I am so grateful to be surrounded by so many. Thank you to HSBC for allowing me to come here today, to speak and share my story. We're very happy to have been able to support the Work Readiness Workshop and after meeting some of the AIEF students it's really clear what positive outcomes are being achieved.